The works of Pablo Picasso and Francis Picabia: AN INTIMATE DIALOGUE AT THE FUNDACIÓ MAPFRE ¦ SUSANNA SÁEZ (EFE) / ORIOL DURAN. Both were short and stocky, practically the same age and, without admitting it, they often dressed the same way for certain occasions; same tie, same shoes. That said, side by side, “they did not look like each other at all,” claimed the American poet Gertrude Stein, one of the great friends the artists shared. 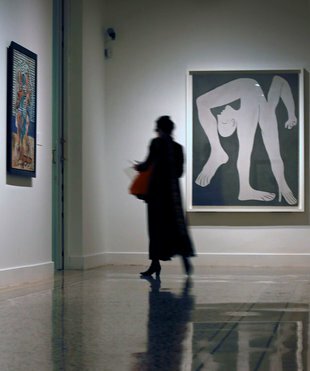 On the one hand, Pablo Picasso was Spanish and frequented environments of bohemian squallor, whereas Francis Picabia, French (although from Spanish and Cuban stock ) was bourgeois to a tee and never felt attracted by the depressing lowlife. So what about their work? Much the same: they clung to the reality of their time but they were as similar as an egg to a chestnut. So just what is behind this exhibition dedicated to both artists at the Mapfre Foundation in the Casa Garriga Nogués in Barcelona? The fact is that their lives and their artistic trajectories were intertwined throughout the twentieth century. From the early days as mere novices starting out in Paris, at the beginning of last century, the press confused their surnames. 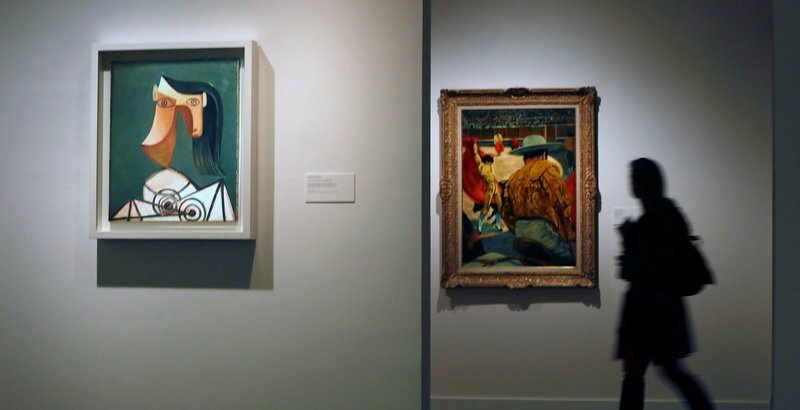 It was a real mix up and Picasso and Picabia became “false twins”, says exhibition curator, Aurélie Verdier, curator of the Georges Pompidou center in Paris. They were never friends because “they were distrustful of each other”. 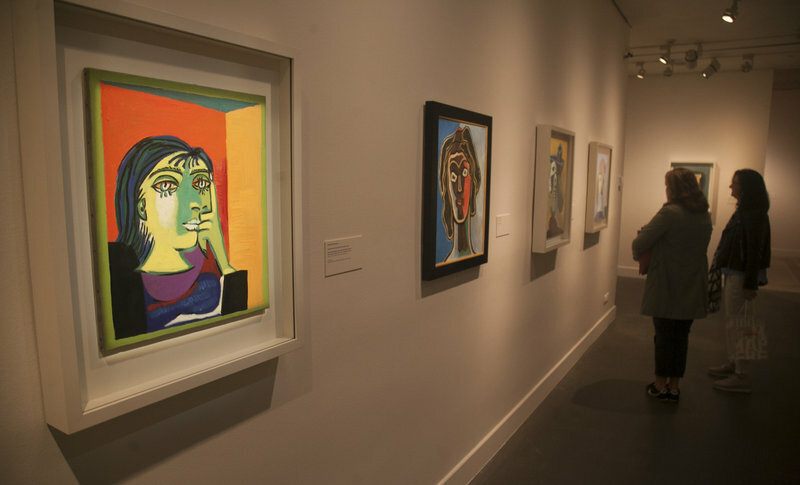 Nor did they influence each other because they “understood art in a very different way”: Picasso, an absolute devotee of the old masters, and Picabia, radically intolerant of the past. But, with the passing of time, some common features emerged that had been ignored. The fact that both were always close to the poets (more than other contemporary artists) perhaps explained the need to express themselves literally, and not only visually. Both were faithful to their ideals and their ardent love of painting led them to apply their genius and change forever the history of art. “Both challenged painting, murdered it, to restore its values,” says Verdier. Picasso was Picasso and Picabia, Picabia. Picasso soon became the number one in the world of art and all the other artists had no choice but to admire or to envy him. Picabia had ambivalent feelings, a little of everything, but was cynical of his success. “Both were fiercely individualistic,” says Verdier. “Picabia was obsessed with Picasso. 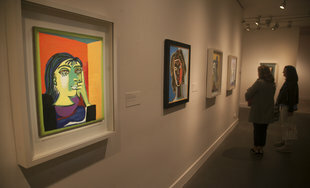 He appears constantly in his writings, jealous of his preeminence,” and ridiculed him in his approach to Neoclassicism.” Either way, he seemed unable to escape the Spaniard, sending him his books of poetry, asking him to help a budding artist, commissioning him a portrait of his friend, sending him invitations to his exhibitions ... Picasso, instead, always put more distance in the relationship. Picabia was a born provocateur, hence his affiliation with Dadaism, and Picasso was sceptical. But what is most evident in the works displayed in the Mapfre exhibition is the sheer joy of each artist in his particular approach to his art, alien to distrust or envy. There are 150 works. Enormous cubist paints by Picasso in his glory and Picabia’s emergence from post-impressionism into his particular style of cubism with his focus on colour, movement, with his love of poetry clearly expressed and his choice of Spanish themes.